Paul Chapman examines the challenge of antimicrobial resistance (AMR) and how it could be beaten. Antimicrobial resistance (AMR) remains one of the key healthcare challenges of our time. The scale of this challenge is underlined by the fact that, in 2016 alone, nearly half a million people developed multi-drug-resistant tuberculosis (TB) globally, according to the World Health Organisation. Resistance is increasing to malaria and HIV treatments too, undoing years of hard work in tackling these conditions and – in a worst-case scenario – AMR could undermine routine surgical practice and cancer treatment. The causes of AMR are well known – including over-prescription of antibiotics and the routine use of antibiotics in livestock farming. The need to develop novel pharmaceuticals is also well understood and developments such as the recent discovery of an MRSA-busting antibiotic are to be welcomed. What is sometimes overlooked in thinking about AMR, however, is the significant role that medtech can play. Advanced, and increasingly portable, technology is starting to make it easier for clinicians to test for infection at the point of care, and with quick results. This contrasts with the current situation where samples often need to be taken from a patient and tested off site before diagnosis can be made. This means clinicians may err on the side of caution and prescribe antibiotics when they may not be needed. Underlining the scale of investment in medtech, the European Patent Office’s most recent annual report revealed that medtech remains the most popular category for patent filing globally. There were 12,263 medtech patents filed in 2017, a 6.2% increase on the previous year. In Europe this trend was even more pronounced, with medtech filings up 7.1% and medtech now the most popular filing category in the UK. While many of these patents will not be focused on diagnostics or AMR specifically, the trend towards increasing investment and innovation in the development of sophisticated point-of-care medical technology is to be welcomed. 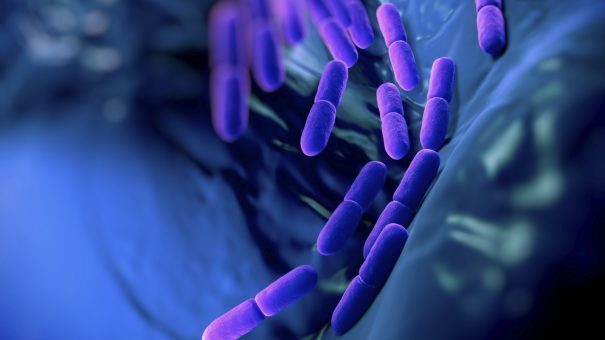 Growing research and development in the medtech field is also reflected in the variety of technologies emerging in response to the AMR challenge. From credit card-sized devices that can test a small sample of urine for the four most common UTIs, to devices which use DNA hybridisation to identify bacteria – a steady stream of new medtech innovation continues to open new fronts in the effort to contain AMR. There is not yet one clear winner in the race to deliver the truly low-cost, point-of-care and rapid diagnostic device that will be so crucial in reducing over-prescription and turning the tide on AMR. However, the market for such a device is recognised by many players in the medtech world, both large and small. Delivering next-generation medtech, combined with the search for novel pharmaceuticals, will be key in slowing the pace of evolution of resistant microorganisms and ensuring that antibiotics remain a measure of last resort, and a cornerstone of modern medicine. 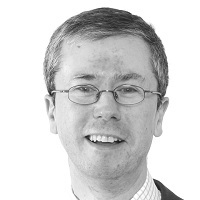 Paul Chapman is Partner at intellectual property (IP) advisers Marks & Clerk LLP. He is a chartered (UK) and European patent attorney with over 20 years of experience in the IP profession. Website and content copyright © 2009-, pharmaphorum media limited or its licensors; all rights reserved.